Restore the performance of your waterproof clothing! 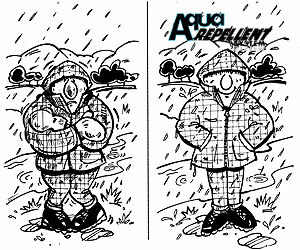 The LSR AQUA REPELLENT REPROOFING SYSTEM for reproofing jackets, trousers and all outdoor activity garments is suitable for GORE-TEX®, Sympatex®, eVENT®, Aquafoil®, HyVent® and all other types of breathable waterproof jackets and trousers. The picture shows two identical top-of-the-range breathable, high performance outdoor garments. But what's the difference...? The one on the right has been treated with LSR's exclusive AQUA REPELLENT REPROOFING SYSTEM which INCREASES WATER REPELLANCY of a one year old breathable garment from 75 minutes to 15 HOURS, and simultaneously improves the breathability of the garment by 35% (results from a scientifically validated test carried out by a leading University Textile Department). 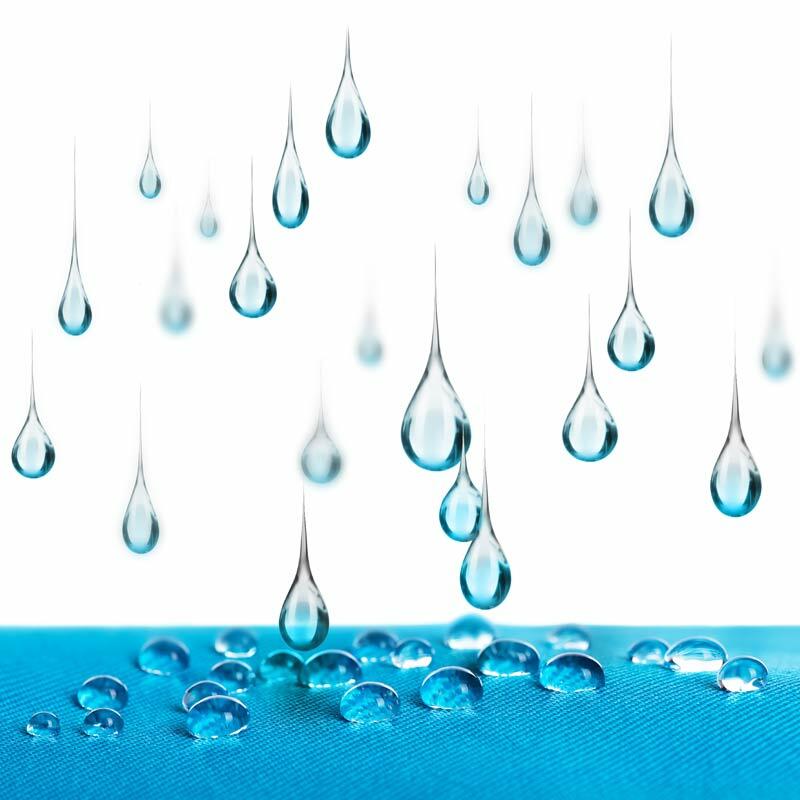 'Wetting out' is a term used when perspiration becomes trapped in the garment due to an unproofed outer face fabric letting in water - thus blocking the breathable inner membrane. This causes the wearer to feel cold, damp and uncomfortable. The Aqua Repellent System is an exclusive and customised service carried out under stringent standards, using the most technologically advanced proofing materials. We first test all garments on the Seuter tester to ensure that the waterproof membrane is in good condition and that the garment has not started to delaminate. If the garment fails this test it cannot be made waterproof and needs replacing - we will contact you to let you know. If there is a particular area of the garment that is leaking please let us know so that we can test this area. As part of the proofing process, your garment is first cleaned, however we cannot guarantee to remove ingrained stains. If any other item has been submitted for a repair we will re-proof a jacket for ONLY £25 if sent with the same order. This offer is for our aqua repellent system only, it does not include wax jackets. LSR are a licensed GORE-TEX® repair specialist for WL Gore & Associates GORE-TEX® products. LSR Reproofing keeps you dry and warm for longer!